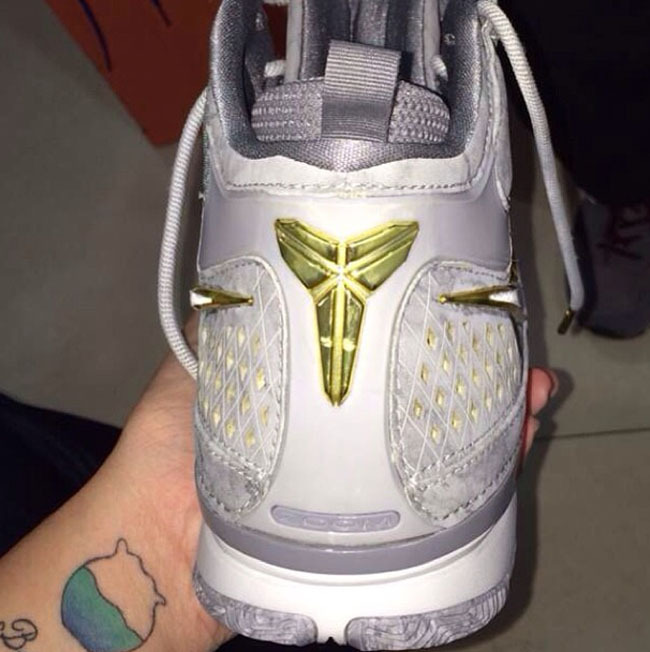 Nike Kobe 2 Retro "Wolf Grey"
Okay, we admit it. We were in disbelief when we heard that the Nike Kobe 2 would see a retro colorway but now it’s official and here’s a first look. 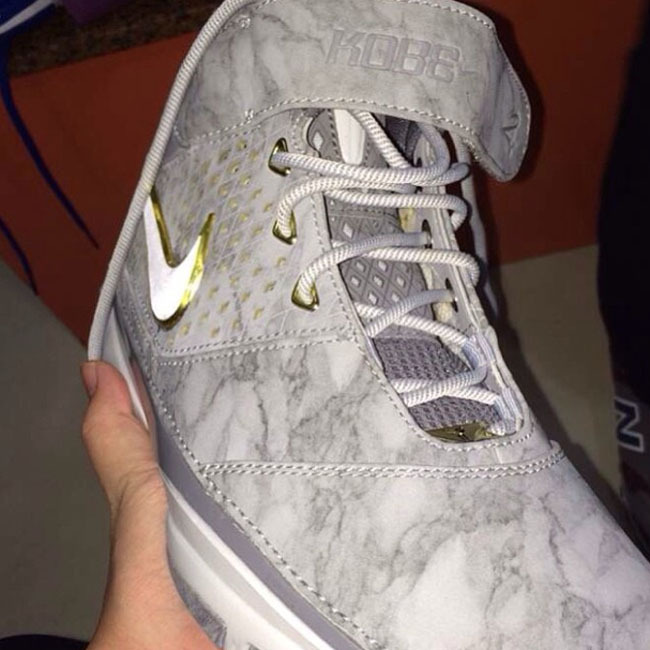 Seen here is the Wolf Grey and Gold Kobe 2 sporting an eye catching marble pattern on the uppers, while accented in Gold. 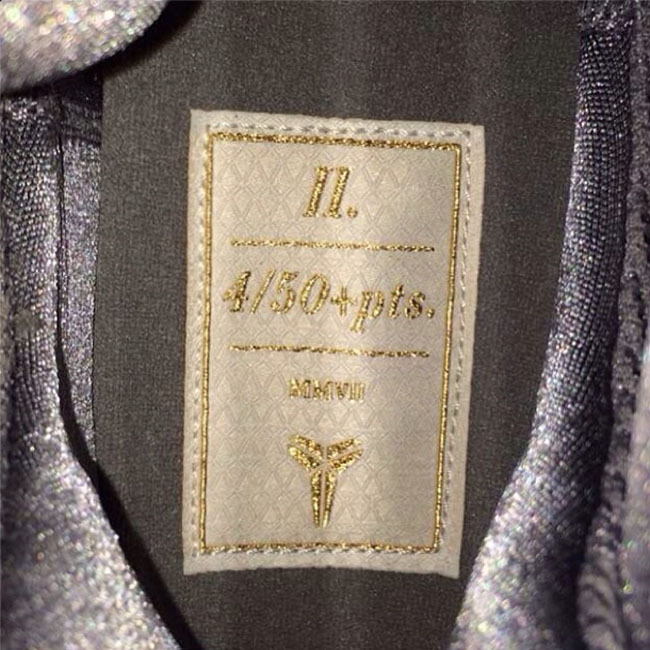 On the in sole, is a small stat description that highlights Kobe’s 50 + pts he made 4 games in a row, giving this retro another reason to cop! Stay tuned with Modern Notoriety for more news.